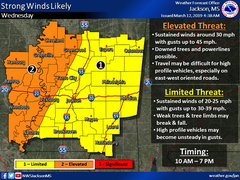 Severe weather forecasted for late Wednesday thru Thursday evening. Check the weather conditions frequently. 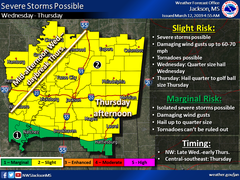 Severe weather forecasted for Wednesday afternoon thru Thursday evening. Check the weather frequently during this time.